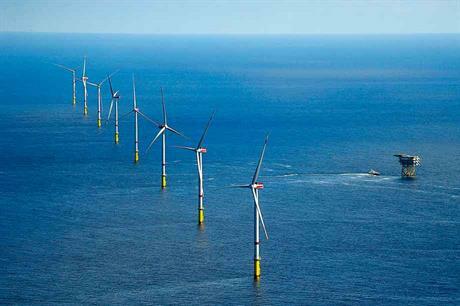 GERMANY: The first auction for offshore wind in Germany also produced the first €0/MWh bids, enabled by long lead times developers hope will bring the bigger turbines they need to deliver. Developers Dong Energy and EnBW have been awarded licences for four projects in Germany's first competitive offshore wind auction. Three sites will be built without subsidy for the first time – less than a year after auctions pushed prices below the €100/MWh mark. Two of Dong's approved projects will also be subsidy-free: the 240MW OWP West and 240MW Borkum Riffgrund West 2 sites. Dong's third project, the 110MW Gode Wind 3, will receive EUR60/MWh support. "Following on from very good energy yields, offshore technology has also made a quantum leap in terms of efficiency to now qualify as a true driver of the German Energiewende," he added. Leading offshore wind developer Dong said the zero-subsidy contract was a breakthrough moment for the industry. "It demonstrates the technology's massive global growth potential as a cornerstone in the economically viable shift to green energy systems," said CEO Samuel Leupold. "Still, it's important to note that the zero bid is enabled by a number of circumstances in this auction. Most notably, the realisation window is extended to 2024. This allows developers to apply the next-generation turbine technology, which will support a major step down in costs. Dong said by the 2024 deadline, turbines of between 13-15MW capacity could be available, making the zero-euro bid possible. The developer also plans to combine the OWP West and Borkum Riffgrund West 2 site into one major project to cut costs. Grid operator Tennet will be responsible for supplying connections to the projects. However, Hermann Albers, president of German wind association BWE, is more cautious over the new scheme. "The reliable instrument of the (feed-in-tariff-based) EEG (Renewable Energy Act) is being exchanged for a highly speculative instrument," he said. "Medium-sized enterprises and companies that are not protected by state ownership structures will not be able to act in the same highly speculative way." Dong — along with EnBW — has once again broken the record for the lowest bid at an offshore wind auction. The fall of offshore wind prices in the last year has been staggering. Dong stunned the industry in July 2016, with what could now be considered as a standard rate, when it bid €72.70/MWh for the 700MW Borssele 1 and 2 site in the Netherlands. As in the German auction, transmission costs are excluded. The developer has until 2020 to build the project, some four years earlier than the OWP West and Borkum Riffgrund West 2 sites, which would have given Dong confidence the levelised cost of energy would fall far enough to make the projects viable with zero subsidy. The Borssele bid was the first time a strike price had been set below €100/MWh. However, the price crunch continued with even lower bids for the 350MW Danish nearshore sites in September 2016, won by Vattenfall, at €63.80/MWh. Then, a consortium led by oil giant Royal Dutch Shell the won the Borssele 3 and 4 tender in December with a €54.50/MWh bid. This is expected online by 2022. Henk Kamp, Dutch minister of economic affairs, said Shell's winning bid could mean the project is operated subsidy-free after 7.5 years of operation. The fall in prices have left other countries wondering whether they are paying to much but those higher prices elsewhere could also be helping the fall. As Dong Energy was bidding for the German sites, it was awarding contracts for the 1.2GW Hornsea Project One site due to be installed 20km off the UK by 2020. This project was one of five in the UK to receive a final investment decision enabling government support contracts guaranteeing the price of electricity produced at around £140/MWh (€167/MWh) (in 2011 prices) for 15 years. This does include building the transmission assets, but is still far beyond the recent strike prices seen elsewhere. The German auction is perhaps a lesson in the long-term policy clarity that the industry has been calling for.